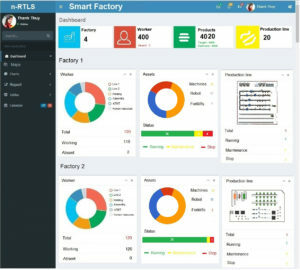 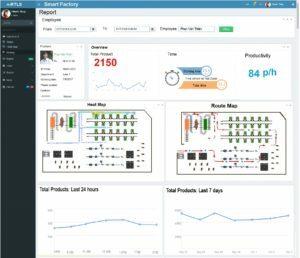 Location-based and operating data of workers, machines, forklifts, AGVs in the factory when synthesized, analyzed into statistics, predictions, visualization into charts, graphs … give an overview and analysis of the factory operation, assess the problems and improve, optimize the operation. 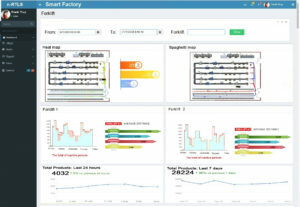 Analyze the performance of AGV / forklift to understand machine efficiency, time usage. 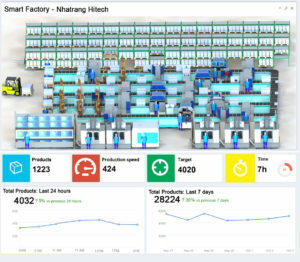 Heatmap and spaghetti chart to analyze the suitability of layout, optimization of operation.